I'd like to share a news story. Hailed by the media, analysts and assorted expert pundits...yet is a powerfully explosive proof point of the way digibabble limits our thinking and clouds our reasoning. News that is exciting, and as a longtime and passionate fan, news that I consider to be critical to those who are into myth busting and true innovation. 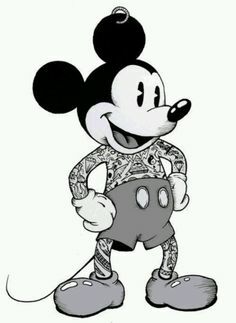 I refer to the story that Disney will be investing in VICE Media's TV initiative. TV? Must be wrong -- not VICE Media -- the once-free bad-boy magazine from Canada that morphed itself into bad-boy digital news and content -- launching a TV network? Cable, no less? But my hero Shane Smith gets it -- CONTENT, folks -- and make it easy to see (drive broad distribution). Don't get caught up in the digibabble of TV being dead -- what does that mean, anyway? They have proved it on HBO (yes, HBO) and no doubt when A&E launches and VICE has clear and unobstructed access to some 78 million households in the U.S., they will kill it -- as their audience expands and as their news show on HBO delivers buzz and new audience demand. And, no slouch he, they are also expanding their online destinations, as I will bet that the cross-platform feed will be exponential -- not just incremental. Bottom line... while others pontificate that TV doesn't exist anymore; sermonize on the "fact" that young people don't watch TV... which doesn't exist anyway; posture about how to use channels as if content is irrelevant -- VICE is nailing it. But folks, people need and want great content no matter what age they are, and they will follow that content -- particularly if it's made easy to find and watch. Why do some continue to believe that everything not of this morning is dead and gone? The digibabblists are hard at work belittling whatever they view as old, while twisting themselves into knots trying to justify all the new that doesn't work...work meaning driving business as opposed to just ephemeral audience. Look, I could be cynical and pull up all of Shane's quotes denigrating TV and everything associated with it. You can find them yourselves. My view is that true innovators who want to make an impact, who really want to change the world and innovate themselves -- they pivot from the simplistic, siloed, partisan views they or others began with, and realize that in order to create revolution, you need deep and serious engagement, big audiences and simple access. Apple building on Microsoft and then Microsoft emulating Apple is a great example in my book, and I hope you will share others as well. I never thought we had a chance of impacting anything. I am just starting to realize that we can change things -- not just VICE, but all of us. In fact, we have to. I don't mean for this to be a shill piece for VICE, as much as I like them, and I know them from the start. It's that I do believe, in my heart of hearts, that this story is a metaphor for how we need to approach the world. WE CAN CHANGE THINGS, but not if we trade one set of limiting prejudices for another.